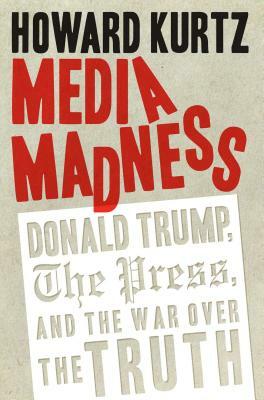 "The mainstream media’s obsessive hatred for President Trump outruns his anti-media fixation by a country mile, argues this evenhanded and incisive study of press relations with the Trump administration." "‘Defiance Disorder’: Another new book describes chaos in Trump’s White House"
According to the media, Donald Trump could never become president. Now many are on a mission to prove he shouldn’t be president. The Trump administration and the press are at war—and as in any war, the first casualty has been truth. Bestselling author Howard Kurtz, host of Fox News’s Media Buzz and former Washington Post columnist, offers a stunning exposé of how supposedly objective journalists, alarmed by Trump’s success, have moved into the opposing camp.